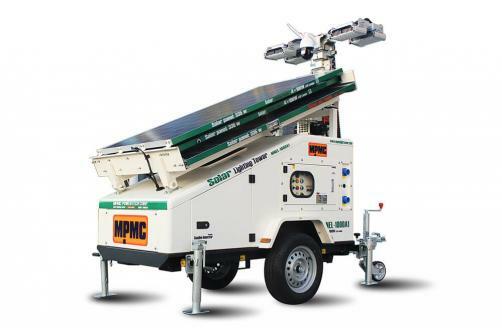 MPMC light towers include manual light tower , hydraulic light tower and solar light tower. It relied on its high reliability, maximum safety, easy operation and simple maintenance etc., are suitable for varies applications like construction site, mining filed, rental business, public equipment service, accident handling, large-scale event, homeland defense disaster relief and so on. The solar light towers take the advantages of solar renewable energy. Ideal for special events, construction sites, security and any other application where on-demand lighting is desired. 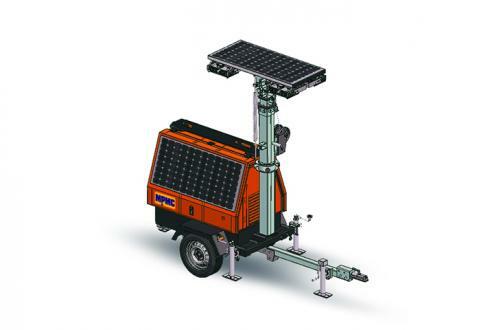 MPMC Hybrid LED mobile lighting tower, equipped with 2kw gasoline generator, one-time full charge can run 14 hours. Manual winch for extending and retracting light mast, 4 stages mast up to 7 meters. 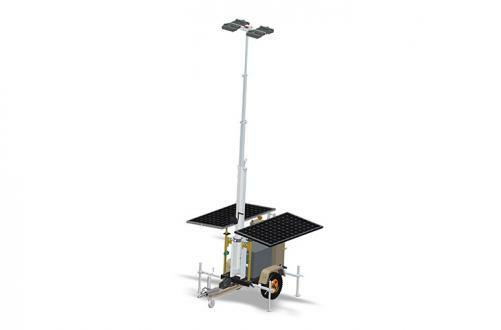 Solar photovoltaic mobile light towers utilize the advantages of solar renewable energy, adopt efficient LED lighting which is brighter than general lighting and is more energy-efficient.